1. Go for a paisley scarf. Paisley prints reigned supreme in the seventies and it's easy to see why. If you're not ready to rock that seventies maxi paisley dress, incorporate a smaller dose of the print into your wardrobe with something like a paisley scarf or clutch. Pair it with solid colors to let the retro appeal of the print truly shine. 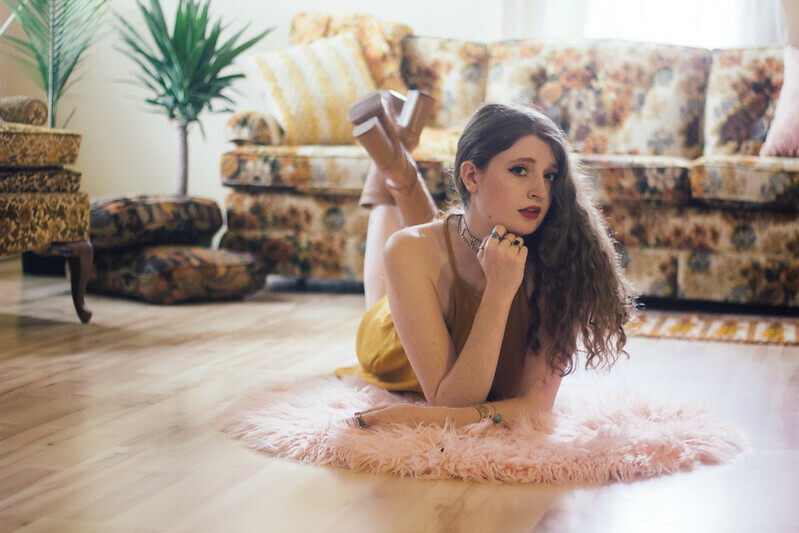 Photo by Hannah Carroll. Celestial earrings: c/o Zaful. Aviator glasses: c/o Giant Vintage. 2. Rock a pair of aviator glasses. Aviator glasses and sunglasses popped up everywhere in the seventies. 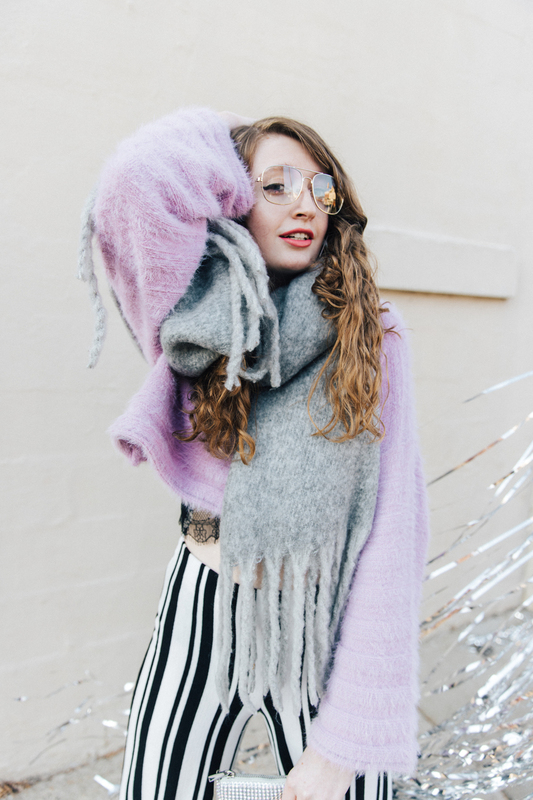 Throwing on a pair of aviator glasses or sunglasses is one of the easiest ways to incorporate a touch of seventies flair into your personal style. Photo by Caroline Thornton. Yellow sunglasses: c/o Giant Vintage. Photo by Elissa Rumford. Dress: c/o eShakti. Sunglasses: c/o Giant Vintage. 4. Add a couple inches to your height with a pair of platform heels. Bonus retro points for wooden platform heels! If you really want to go for the seventies gold, pair your platform heels with a pair of bellbottoms or flare pants. 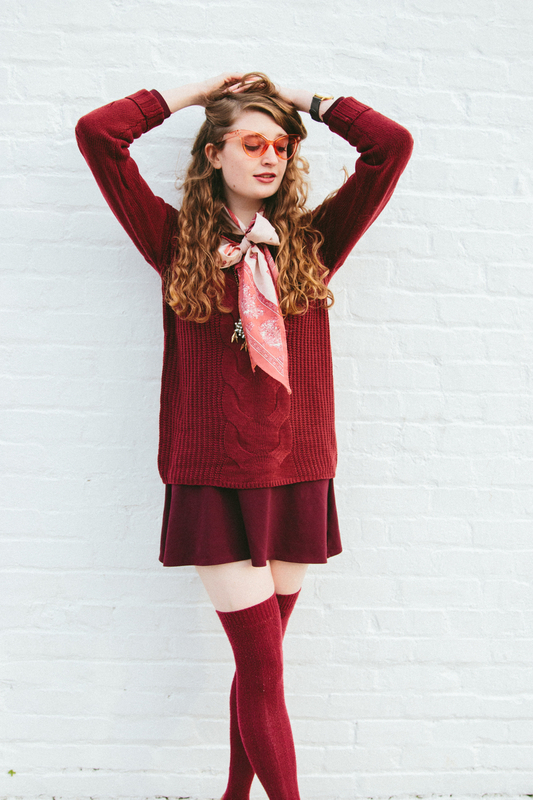 Besides radiating retro style, this combo will make your legs look about a million miles long. And who could say "no" to that? 5. Wear mustard yellow (and rock a middle part if you're feeling bold.) Mustard yellow = THE color of the seventies. You can also experiment with burnt orange and rich avocado green. Sure, these colors may be traditionally thought of as "ugly" but are they really?? I can't help but be drawn to the aesthetic of these "ugly" colors. If you're feeling unsure, try bringing them into your wardrobe in small doses. Start with a burnt orange silk scarf and then move onto the puke green maxi skirt. 6. Carry a fun, retro suitcase. Modern luggage is boring anyways. Just take a look at the luggage carousel at the airport- how many plain black suitcases do you see? I'm cringing just thinking about it! 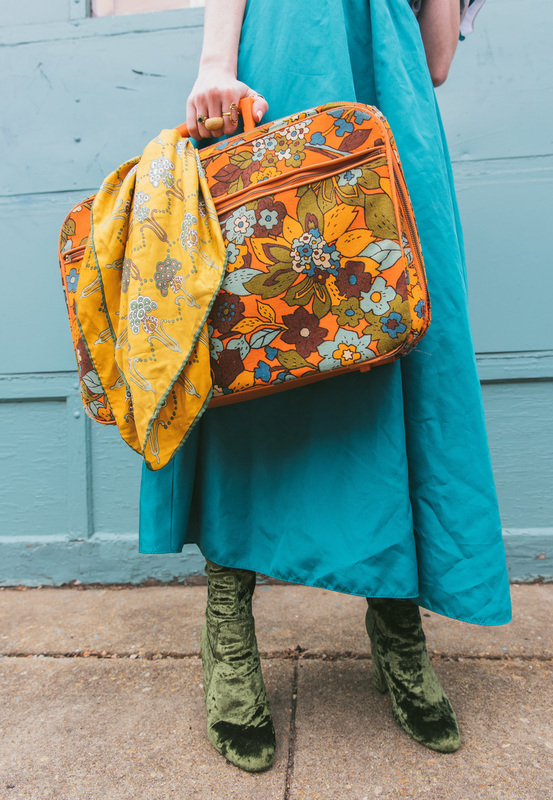 Stray away from blah and have fun with a colorful piece of luggage like the suitcase I'm holding above. You can often find these at thrift shops, yard sales, estate sales and of course, Etsy. Photo by Rachel Dwyer Photography. Dress: c/o Shop Nebula. Earrings: c/o Zaful. Sunglasses: c/o Giant Vintage. Necklace: c/o Personal Necklace. 7. Wear authentic seventies vintage pieces. Enough said. Scour local thrift shops as well as Etsy and Poshmark for authentic seventies vintage pieces. Photo by Rachel Dwyer Photography. Wardrobe: Urban Outfitters. Sunglasses: c/o Giant Vintage. 8. Get groovy with bell sleeves. Bell sleeves presided in seventies fashion and to my delight, they're trending yet again. You can easily find bell sleeve tops and dresses at many fashion retailers today and their options usually blend retro and modern style really well- which makes styling them with other pieces in your wardrobe super easy. 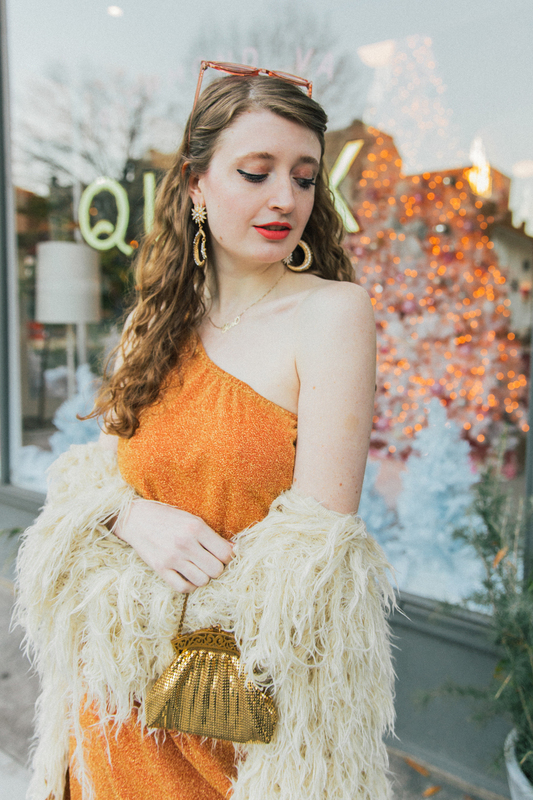 Start small and pair a bell sleeve top with a pair of flared denim or go bold and rock a bell sleeve maxi dress in a burnt orange paisley print. 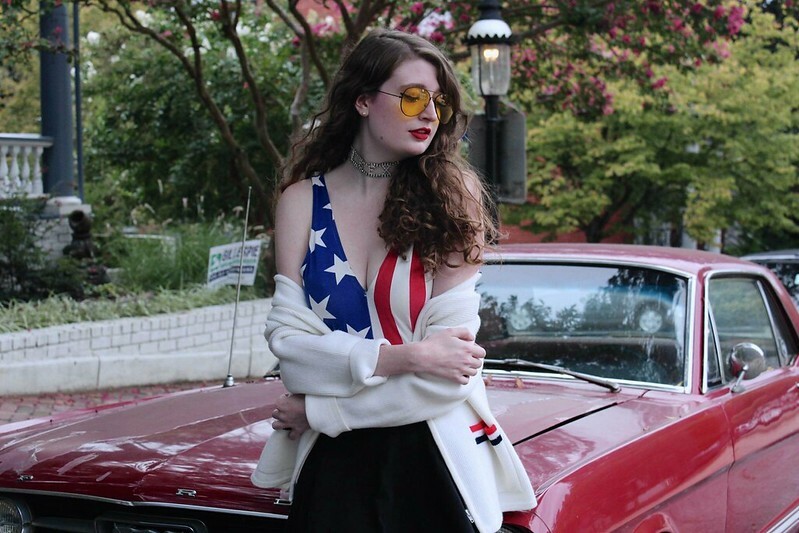 Do y'all have a favorite decade in regards to style? Let me know in the comments!